Sediment samples reveal swimmers and tourists are polluting the lake where Henry David Thoreau sought solace in the mid-19th century. And climate change is expected to exacerbate the damage. In the mid-19th century, American writer Henry David Thoreau retreated to Walden Pond to connect with nature and write about the meaning of life for his celebrated book, Walden: or Life in the Woods. But today, the once pristine pond — a national historic landmark and state reservation in the northeastern state of Massachusetts — is polluted by swimmers and tourists, researchers said Wednesday. A warming climate will likely exacerbate the trend, beckoning ever more visitors seeking cool spots for swimming in the summer and encouraging the growth of tiny algae which alter the lake's ecosystem. To better understand how the lake has transformed over time, scientists took six samples, known as sediment cores, from the lakebed. These layered cores are like chapters in a site's geological history, revealing the impact of pollution and changes in climate over the last 1,800 years. 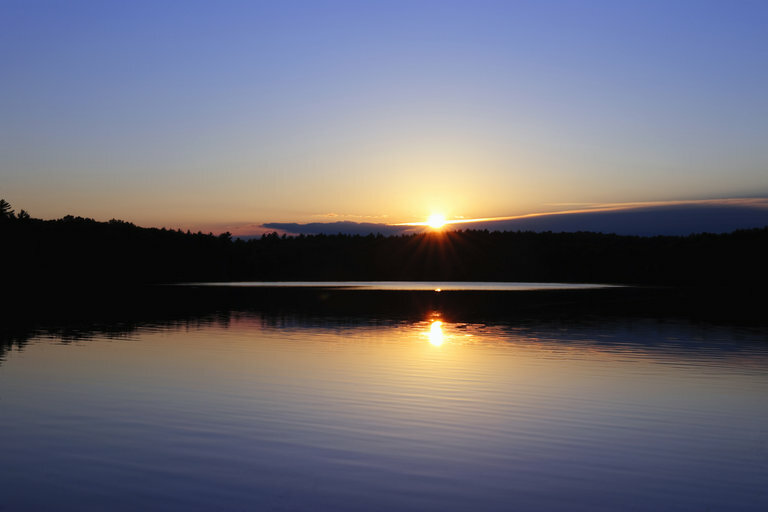 "The sediments of Walden Pond record major ecological changes to this iconic lake since the time of Thoreau," said J. Curt Stager, a professor at Paul Smith's College and lead author of the study in the journal PLOS ONE. "They also warn of more changes to come in a warming future." The shoreline was developed in the early 20th century, and dumping of human waste into the lake led water clarity to decline "significantly," as phytoplankton — or tiny algae — increased, the study said. By the 1930s, hundreds of thousands of people came to the lake to swim each summer. Today, "more than half of the summer phosphorus budget of the lake may now be attributable to urine released by swimmers," said the report. Another major shock to the lake's ecosystem came in 1968, when the waters were deliberately poisoned with a fish-killing pesticide, rotenone, meant to eradicate native species so the waters could be restocked with non-native sport fish, like rainbow trout and brown trout. More recently, since the late 20th century, Walden Pond has seen a "large, sustained increase" in Mallomonas, a kind of algae now common in lakes around the world. Ever-increasing temperatures due to global warming have also influenced the condition of the lake, but Stager said the rise in algae is "not readily related to changes in regional precipitation, temperature, or lake ice-cover." Rather, it "seems likely to be more the result of increased nutrient inputs or trophic cascades" — in other words, the ecosystem is fundamentally altered, and may not be able to return to its former state. Since the 1970s, efforts have been under way to protect Walden Pond, cutting back on soil erosion along the shore and closing a nearby landfill, which has reduced feces from gulls flying over the lake. But researchers say global warming will lead to "heavier summer recreational use of the lake," and "warming of the lake surface could also further enhance internal nutrient loading." Therefore, scientists urged lake managers to do even more to reduce the impact of people and their waste on Walden Pond, "under the warmer, wetter conditions that most climate models project for New England during the 21st century."